Punctuality – A candidate showing up in an interview on or before the scheduled time exhibits a keen interest in the job. Punctuality is always considered a paramount sign of professionalism. If you are able to show up on time, you are off to a good start. Good Interpersonal Skills – A candidate with good communication skills is not limited to knowing how to converse/write with impeccable grammar but it also means being able to initiate or sustain a conversation, know how to execute instructions properly and accordingly, comprehend complex information, and be confident enough to ask questions. Respectful – A candidate who humbly answers and asks questions despite having impressive academic credentials and admirable achievements is likely to become an ideal employee. Leaving a good impression on recruiters should be one of your objectives because they are your ticket to getting an interview with the hiring manager. Nowadays, having a good character is a key factor in the hiring decision because employers are after people who are easy to work with. Knowledgeable – A candidate with work experience should be able to express and explain details about his/her previous job functions and have in-depth expertise on their profession. Being able to proactively share your achievements and notable contributions to your previous jobs is always an advantage. Your skills and knowledge are your assets, and you should add value to your professional expertise by consistently learning new sets of skills. Risk-taker – Candidates who are risk-takers are brave enough to take bold steps towards achieving their career goals. Trial and error is their favorite go-to strategy. Risk-takers are also outside-of-the-box thinkers who are willing to execute or implement a unique strategy that is not usually the path taken by the company or team. Positive Disposition – A candidate with a positive attitude towards work can be assessed on how passionate they share his/her stories at work. This person will never bad mouth his/her previous employer, but instead express gratitude on how much they have learned from the job. This quality usually resonates on the outward personality as these people are definitely not afraid to show their smiles and give off a warm and welcoming nature. 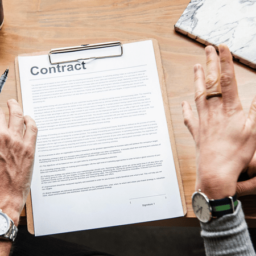 Versatility – The versatility of a candidate can be determined by the level of engagement and quantity of contributions they have done on their previous work-related or skills development experiences. This person is not afraid of learning new tasks and assume new roles that could benefit the team and the organization. He/she is usually goal-driven and results-driven. Accountability – A candidate who knows how to take responsibility from his/her actions, as well as those of the team, is one of the best people to work with because they are mature enough to understand the situation and locate the source of the problem to come up with feasible solutions. These people have the potential to become future team leaders and company assets because they understand the importance of collaborating with other members and spearheading projects that would prosper the cause and objectives of the organization. 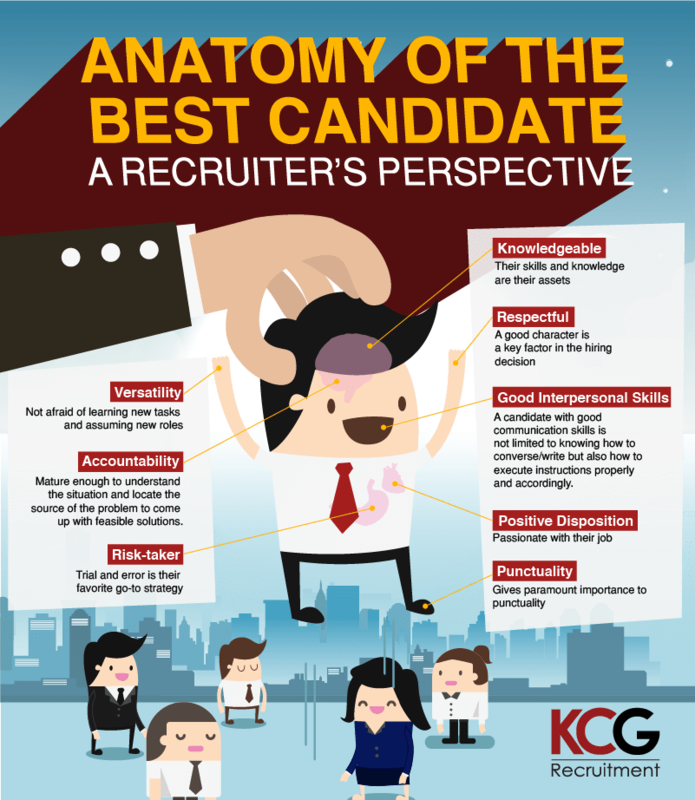 Were you able to determine if you are or can be the best candidate that recruiters are looking for? What other qualities do you think we might have missed out from this list? Let us know in the comments below. And good luck with your job search! Have you experienced being assisted by a recruiter to get a better job or perhaps hire your current top performer? If so, then you just found a gold mine. A good recruiter is someone you need to keep for he will constantly provide you with better, if not, great results.